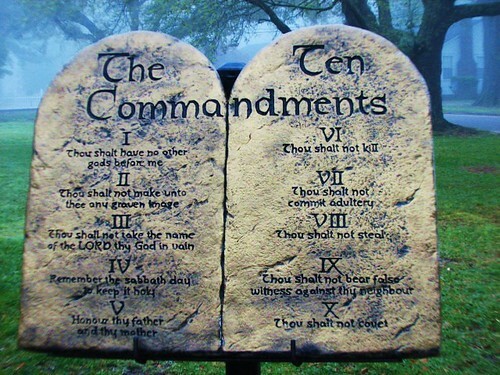 The Farr Place: Do we really need the Ten Commandments? I think the Ten Commandments are might bit excessive. Sure, we don’t need to kill anybody and it would be best not to covet your neighbor’s wife when he’s around, but do we actually need all 10 of them when just one would do the job? That’s it. Short and sweet. It covers all the bases. Besides that, no group would ever throw a hissy fit about a “Be nice” sign hanging from the downtown courthouse. So how about it? Let’s “Be nice” for a change.